Iran’s nuclear chief said on Saturday that the European Union had promised to save the nuclear deal with major powers despite U.S. President Donald Trump’s decision to exit the accord and reimpose sanctions on Tehran. 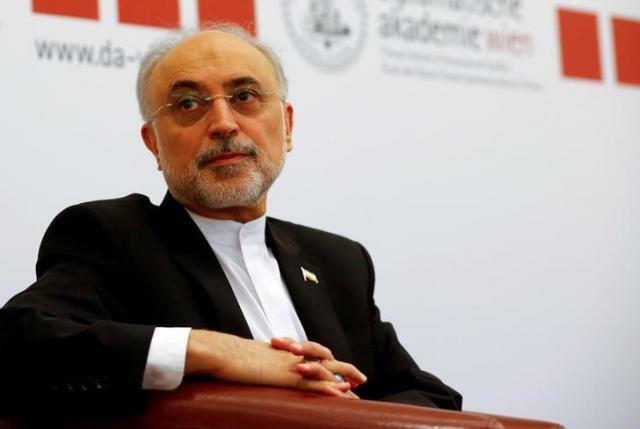 “We hope their efforts materialize ... America’s actions ... show that it is not a trustworthy country in international dealings,” Ali Akbar Salehi told a joint news conference in Tehran with the European Commissioner for Energy and Climate, Miguel Arias Canete. Under the 2015 deal with major powers, Iran curbed its nuclear program in return for the lifting of most Western sanctions on the country. The sanctions were lifted in 2016. Canete, who arrived in Tehran late on Friday for a two-day visit, aims to reassure Iran that the 28-nation EU wants to keep trade open despite the U.S. withdrawal from the pact, announced by Trump on May 8. “We have sent a message to our Iranian friends that as long as they are sticking to the agreement the Europeans will... fulfill their commitment. And they said the same thing on the other side,” Canete said. The EU was once the biggest importer of Iranian oil.